It’s been about a year since my team, the brilliantly named Mickey Melons, last played in a competitive league. For 5 lads from Portsmouth, the prospect of paying £55 per week for our weekly matches (before you gasp, we’re based in London now) was just a bit too much to take. We’d been paying £50 through gritted teeth, and weren’t willing to go along with the latest price hike. We can only assume the fees covered the costs for the groundsman mowing circles or squares into the astro turf. Or something like that. Price wasn’t the only issue. Customer service was poor, if not non-existent, and while the referees were a great bunch (a rarity), the organisation from the top was lacklustre. We’d had several matches cancelled without warning, which is several too many. Having grown tired of this, a team mate and I decided we’d set up our own league. Lower prices, better service, better communication. Moving back to the present, we’ve stuck with the idea, and I can honestly say it’s been a lot of fun. 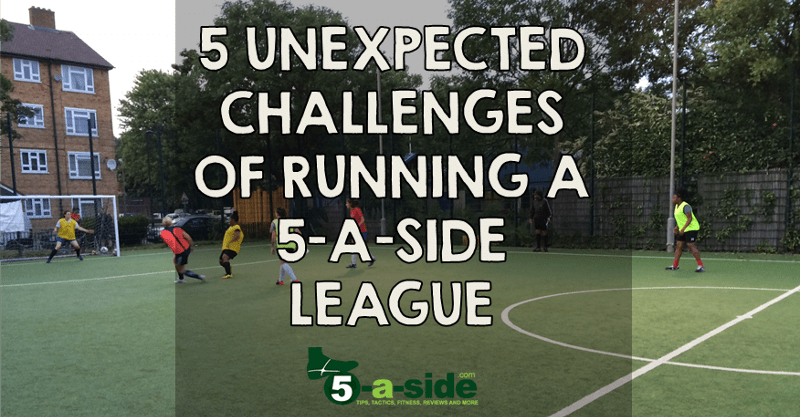 However, having naively – perhaps arrogantly – assumed that the job would be easy, we’ve since realised that the life of a 5-a-side provider has plenty of unexpected challenges. I’m going to mention five of them here. Pitch rental is an absolute nightmare in London. I’ve spoken to people from the F.A, plenty of team organisers/secretaries, and other footballers, and we’ve all got horror stories about trying to book a pitch. Facilities are widely available, but block bookings at convenient times and ideal locations are like gold dust. This is partly due to competition, which is a good thing. There are a lot of options for football in London. However, it’s largely down to mismanagement of facilities and incompetence. Pitch providers typically take 2-3 weeks to reply to booking enquiry emails, and management staff are nigh on impossible to contact. To make matters worse, venues have mostly outsourced their booking facilities, so venue staff rarely know what their pitch availability is, and an intermediary will have gotten involved and added anywhere between £30 – £80 per hour to the booking price. It’s no wonder that people are being priced out. 2) People who play football don’t like being flyered! We’ve done our best to book good facilities, and provide something properly organised at an affordable rate. So what next? Well, we need teams. Google Adwords seems about as effective as attacking a rhino with a feather duster (we found out the hard/expensive way), and posters don’t necessarily get noticed. With that in mind, our most potent line of attack, besides perhaps social media and our own networks, is flyers. I’ve now spent countless hours outside of tube stations and leisure centres shouting ‘new five a side league’, and local residents of these areas could be forgiven for wanting to punch me [We have had some genuinely productive and nice conversations with people though]. Anyhow, when you see people walking towards you, you can’t speak to them all, so naturally you pick out people who look like they might play football. I had no idea this would be the case, and I understand that most people don’t like being flyered, but I wasn’t prepared for the marmite effect that this would have. Perhaps it’s just that we get flyered a lot as footballers, but the rudest responses we get are usually from people who are fully kitted up, or wearing football gear. Nonetheless, the alternative is to run a terrible league with no teams, and I’d sooner get told to piss off outside the train station, than told where to stick it by someone who’s committed to joining our league. Having considered the lack of availability of pitches, we realised that more favourable terms and locations can be found on a Friday night. Great news. We’ll knock the prices down, get a popular venue, and there should be people who want to play at the end of the week. Well, in short, no. This was a crap idea. People have commitments at the weekend, and beyond this, Britain’s drinking culture is not to be messed with. Some of the teams who signed up said they loved the option of playing on a Friday, but the audience is too niche for a small company to get this off the ground. There’s a reason why those booking slots were available. I’ve played in some great teams as a 5-a-side player. On one occasion a team of mine came close to the national finals of the F.A Peoples’ Cup. On the other hand, another team I play for has won one of its last eight matches in a very recreational league. I love playing for both of these teams. One offers a chance to play some great football, and the other provides an opportunity to work my arse off and try to grab a few unlikely wins. Not everyone has this mindset though, and as a league organiser it’s painful when you see a team’s commitment levels start to tail off as results don’t go their way. The worst case we saw of this involved a talented team of young adults, who had a lot of attaching flair and skill. However, they just kept losing. Some would say it was because nobody wanted to play in defence. Others would say it was because they took turns in goal, and some of them would deliberately let goals in so that someone would step in and shorten their stint. From my perspective, it was painful to watch, and as they continued to lose their commitment eventually ended. I suppose it’s part and parcel of running a league, but it can be a stressful and drawn out process when you’re hoping a team will pull it together. Especially when they’re actually quite good. I’d always been so irritated at the price of other leagues because it looked so easy. Arrange for a ref, and let teams turn up and play. If you run a league, and it’s popular, then in effect it runs itself. You could be sat in the pub doing sod all, and in fact I wonder if some league co-ordinators do exactly that. That’s simply not the case if you run a smaller operation though. I work with my co-founder throughout the week, and at weekends. We’re the marketing department, administrators, recruitment team and managers. We thought we’d be inundated with business simply for being cheaper and for giving a damn. That wasn’t the case, but we’ll keep working on it until people get the message! 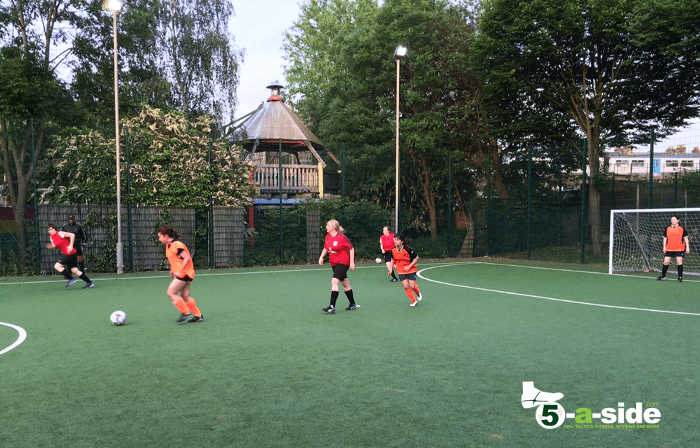 Running a 5-a-side league is tricky and has its challenges, but it’s still a rewarding thing to do. I could just as easily write lengthy tomes on why running a league is a great way to grow as a participant in football and as an entrepreneur, but ultimately I spent my teenage years listening to Morrissey and moaning comes more naturally to me. Thanks to Ian for this insight into the trials and tribulations of a league organiser. If you’re in London and you like the sound of what Ian is trying to do with his leagues then get involved and contact him today. Ian and his co-founders are genuinely trying to deliver a great football experience and save you some money in the process – what’s not to like? Ian is especially keen to hear from anyone who fancies joining their Monday men’s indoor league in Bermondsey starting on 18th July 2016. If you mention this site, Ian can even get you your match fees down to £25 per week, which is staggeringly good value for London.